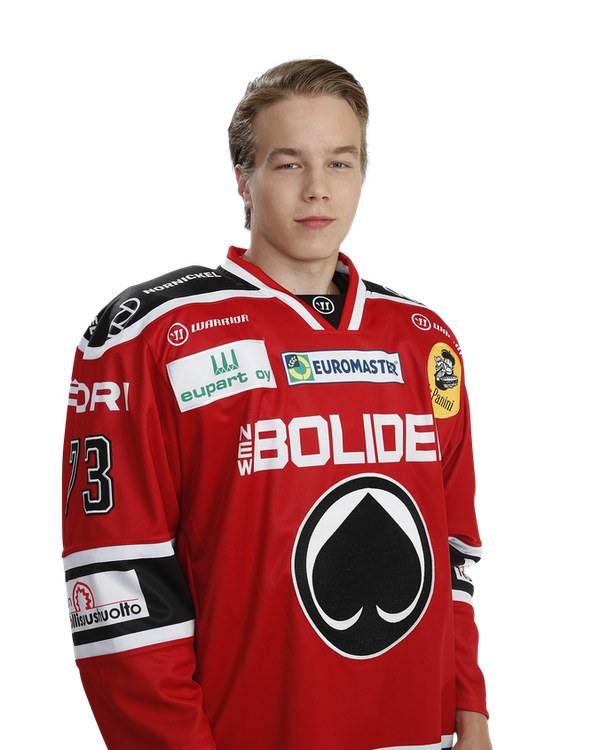 Kivenmäki centered the top line for Ässät U20, and he played with two 15-year-olds on his wings. He also played at the half-wall on the top power play. As expected, Kivenmäki was the best player on his team. Most of their offense runs through him. He showed his excellent skating and puck-handling abilities, dancing through traffic and even making some 180 degree turns with the puck. Fun player to watch when he has the puck. Kivenmäki had a few grade A scoring chances but wasn’t able to convert them into goals. He did, however, make one great cross-ice pass on the PP and earned an assist from that. He also scored in the shootout. Kivenmäki made his pro league debut against Lukko as a winger and he gave a positive impression. He got around 14 minutes of ice time and he played in the second power play unit. Couple of times he seemed bit nervous but for the most part, his play looked ready for the pro game. The young forward was occasionally bit insecure with the puck but his great puck-handling abilities were still easily noticeable. He made couple of pretty good dekes and gave many really good passes during the game. His read of play was excellent and he played effective checking game in the offensive and neutral zone. Also while Kivenmäki is a small player, he did not shy away from board battles and he went into tight spaces. Kivenmäki could react quicker when he gets the puck and he also kept the puck for too long couple of times. Kivenmäki helps the defense really well if defender joins the offense, but his defensive game still needs some improvement. He still thinks offense too much in the defensive zone. However, the forward has undeniable offensive talent and his skating looked above average in terms of agility and speed already at this level. Center played almost 20 minutes in a game against Sport and got one assist on power play. He was very visible player on ice showing great stickhandling skills and he definitely showed he can carry the puck. However he looked more like a flashy player instead of being efficient because he tried to make things happen all by himself. His passing game was pretty much non-existent in this game and he lacked vision with the puck. Kivenmäki at this point is only useful as offensive player as his defensive game still needs a lot of work. He goes out of position often and thinks too much offense even at the defensive zone. However he can make things happen at the both ends of ice with his great movement. Center has great acceleration, he is agile and his speed is above average in this league. Kivenmäki lacks both size and strength and that’s why he loses a lot of board plays. I don’t think he plays as complete game as would be required to compensate his lack of size. However his development is worthy of monitoring thanks to his speed and skill.